I just checked out a new site, read their rules and said..."blahhhhhh, no way!" 6.5 House Account Wagers. House accounts may from time to time play games and will use either cash, cash winnings, bonus, bonus winnings, or bingo bucks. All amounts purchased by house accounts will contribute to the amount winnable by all players in multi-player games (such as bingo) and to any applicable progressive jackpots in single player games. Soooo they admit openly that they have house players. Who in their right mind would want to put money into a site that admits openly that they have house players that play against you? Not me. I'll give them credit in one aspect, at least they admit it, whereas other sites deny it completely. Still....buyer beware.....you're buying into a site that admits to having house players.....how many of their players are REAL then? Ya just don't know. Guys and gals, help me out here and visit the site to see what you think. Maybe I'm misunderstanding their house player thing. Let me know whatcha think ok? If it is in the wrong section it will be moved... please don't be offended!!!! You can bet your sweet bippy Sissy will check that site out. Sort of makes my mouth hang open LOL!! The "new approach" wouuld scare the hell out of me if I were a depositing player. thanks bren for sharing with us. Checked it out myself. OMG youu have to read their Rules page. WHAT A JOKE. I'll post the link for the rules. Me too!! Down a bit farther in the payout section, it does say that house accounts are never allowed to cashout...and therefore the money is put back into the pot so to speak, for the players to win. Yeah, but what if....just WHAT IF a "house account player" was to win a progressive jp? That's cheating the PAYING PLAYERS out of their money too! I think having house players in any case is wrong wrong wrong. I don't even see their point in having them, other than to make the odds for paying players much less for winning. It's a shameful thing to do. PERIOD. 7.7 Withdrawal of Major Jackpot Winnings. If you win any prize and/or jackpot where the amount won is over US$10,000, and you request a withdrawal of those winnings, you agree that Winabingo will have the complete discretion to pay such amount to you over a period of time. In that event, once you make the withdrawal request, your cash account balance will immediately be reduced by the amount of such withdrawal request and Winabingo will make payments to you in due course. I wonder what due course is? They say the full amount will be deducted from the players account right away, but by being vague with this rule it could take years for them to pay it out, so in the meantime they make interest on your money, because it's no longer sitting in your account it is in theirs. I would stay far, far away from this site. Meta Relevance: No terms. Site needs Meta Description. NS History: 9 changes. Using 6 unique name servers in 6 years. IP History: 3 changes. Using 3 unique IP addresses in 2 years. Dedicated Hosting: Winabingo.com is hosted on dedicated server. Post subject: win a what? LMAO!!! ok people..time to test your cognitive and comprehension skills!!!!! Can you say Player Fraud? If a player should be extraordinarily lucky enough to win at winabingo, do you realize they could hold your winnings indefinitely. They give them selves the option of paying you 1.00 a month back if they wish while holding your funds in their pocket! They admittedly have houseplayers..dont know if this management is new on the block or is depending on the fact that most paying players wont bother to read ( or understand) the site rules. Houseplayers are fraudulent and would not be tolerated within the rules of an international regulatory commission. Once you register and sign up, you agree to whatever they decide is appropriate gaming play. Don't complain when they will not pay out because they are holding the high hand and they are even telling you as much before you deposit or play! This site gets the award for hutzpah and having the most balls! LMAO!!! Signed up to this site and they give you access to ONLY a demo room. Watched chat for a few minutes and seen people saying they liked the site and were going to deposit ...sooooooo....I asked them all in chat if they had read the rules pages. They all said no. One person said yes but not all of the rules. I said...well did you see the part about house players. They said no. I told them what it said. Some asked what house players are and some called "BullS***" to me so I said why dont you take 5 minutes and read the rules before you give you money away. I also explained what house players are. Then the chathost told me to click on support. I said why, I dont need any help but thank you anyways..lol. Like i didnt know what would happen. You click support and takes youout of chat..lmao. 2 minutes later i got the boot...lmao. I can believe that so many people are that blind and dont read before they intrust someone they dont know with their money. One person even said...uh oh..looks like someone stuck foot in mouth. No, because if i had my foot in my mouth i wouldnt be able to talk and info people...unlike the blind mice playing at this site. PEOPLE THAT READ THIS THREAD. STAY FAR FAR AWAY AND KEEP YOUR MONEY WHERE IT IS SAFE....."IN YOUR OWN HANDS"!!! You are now speaking with Alexandra of Support. Alexandra: I am so sorry, you were talking about a topic that is not permited in chats. Alexandra: There is nothing else I can do. twistedd: the rules cant be talked about in chat? Alexandra: I am not going to speak about that, sorry, the desition has been made. Again, i was cut off...lol. Some support system and when has it ever been a rule that you can't talk about rules in a chat room?? I'm tempted to go to winabingo and go into chat and POST the rules about house players to the chatters and then leave. LOL. Obviously most of them that are playing there haven't taken the time to actually READ the rules. I think that's true of LOTS of players when they play. Then, when it comes time for them to cashout, and they haven't read the rules, they get upset at the site for cheating them. It's true, the site has figured out a way to cheat them lots of the time. But a wise person once said, "forewarned is forearmed"...meaning, if you READ the rules BEFORE you deposit, you can save yourself some unnecessary heartache and hassle. If a site doesn't allow the rules to be discussed in chat, then that tells me they don't want their rules to be known, and if that's the case, they aren't PLANNING on doing above-board business with their paying players. THIS SITE IS A SITE TO STAY AWAY FROM INDEED!! Looks like the Bottom line is PLAY BY THEIR RULES ONLY IN ALL AREAS and NEVER EVER ASK A QUESTION ~!! Sounds rather familiar.. I did the winabingo thing... in the Dolly free room..not really free cuz it a penny a game.and poor me didnt have one stinkin cent to give back to them. I just cant fathom the fact they tell you they are using house players and still people go there to play! Have they no idea what a houseplayer is? I am so glad to see this about Winabingo and their "cashout" policy. For those of you who don’t know, Winabingo was formerly bingo.com (which I thought was great, never had any problems cashing out from bingo.com) so with the US laws, they switched overnight (without any warning) to winabingo.com. They didn’t bother setting up any rooms or anything when bingo.com switched to winabingo.com so I thought I’d just withdraw my cash and maybe go back in a few months time. That was January. I’m still waiting. I am a UK player and they refused to refund using Neteller even though the US laws don’t apply to me as I am not a US resident. They offered to send me the cash by MoneyGram which would be fine if I live in America but I live in England! I have a ton of emails from their “customer support” where they clearly have not read what I’ve written until I SHOUTED it! The last email I had this week said there would be a new online wallet for me to use this week. They promised me that in early March so I’m not holding my breath. Anyone thinking of playing there, just don’t. Save your money. Wow, I can't believe they booted you for talking about their own rules. The sites I have played at if a rule issue comes up the chat host directs the person to the rules page and tells them where to find all the rules. I agree if a site doesn't want their rules to be read there is a reason for it. I can't believe there are so many bingo players out there that don't know to read the rules first. Even when I was a newbie I knew enough to read the rules very carefully before I deposited, because I was very leary about depositing online when I bought my first computer. I had heard so much about places ripping off your bank account on the news, that I even went as far as to open a cheap chequing account, that I use only for online stuff so there is no extra money sitting in there for someone to steal. 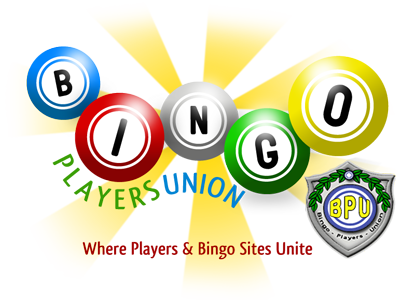 Thanks for the info about this site being bingo.com, I wonder why they changed their name? Purhaps because they had too many people they owed money to with the old name? I think you will see the name of this site changing frequently for that reason. One more thing I forgot to mention, I emailed them about the house player rule on Saturday and to date I have gotten no response from them.